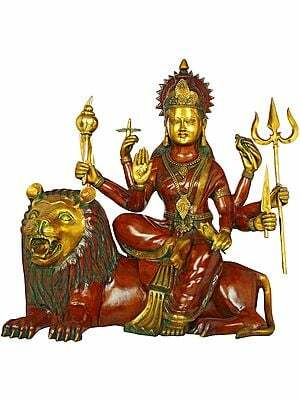 Devi Durga has no equal in the Indian pantheon, neither among the devis nor the devas themselves. 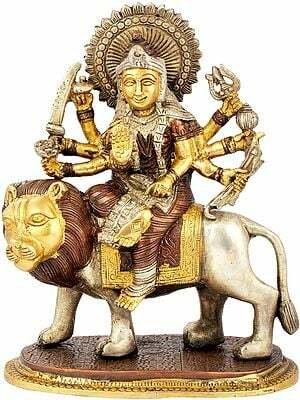 She is of superlative beauty and ferocity; invincible; born to destroy the greatest of the adharmees, Mahisasura. 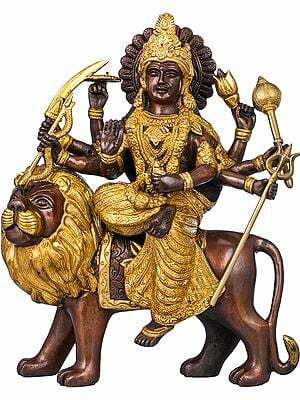 Which explains the presence of the syllables, Mahisasura Mardini (slayer of Mahisasura), in Her sahasranama. 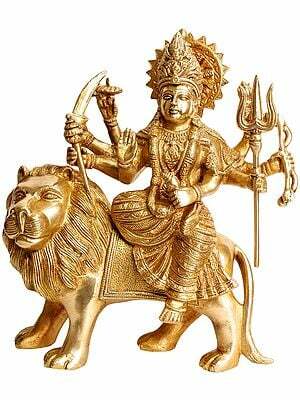 This work of art in brass captures the Ashtabhujadhari Durga in all Her strength and divine vigour. 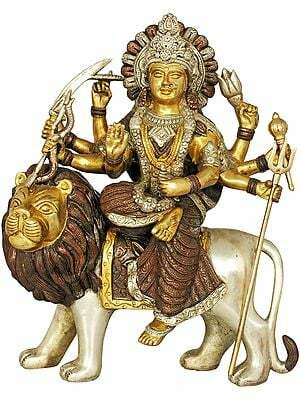 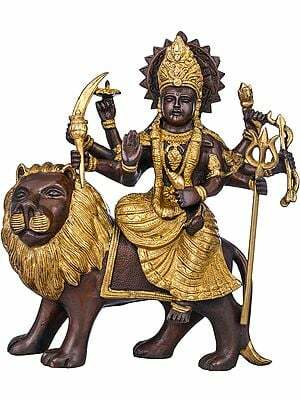 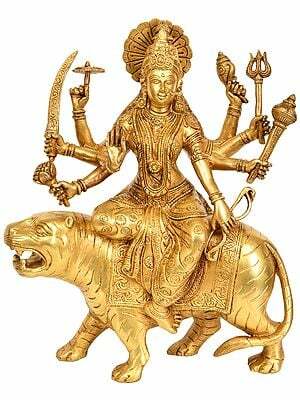 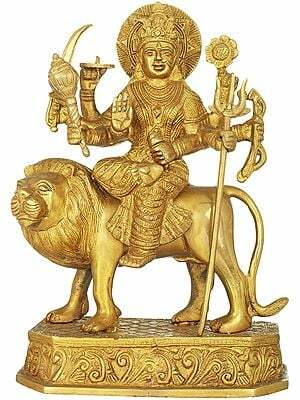 Her stance is fearless and rock-like - both Her feet are on the backs of lowly boars, with one leg raised as if to balance the spear-headed end of Her trishool directed at where the defeated Mahisasura is usually portrayed in Her iconography. 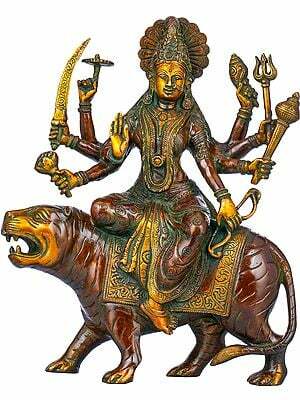 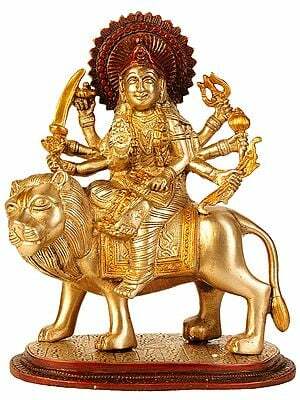 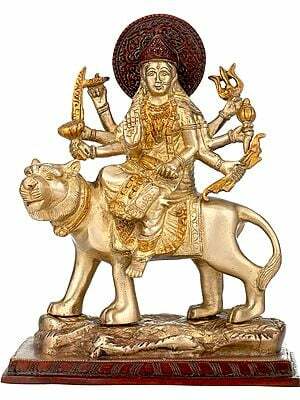 This is complemented by the fearsome weapons She wields in each of Her eight (ashta) hands (bhuja). 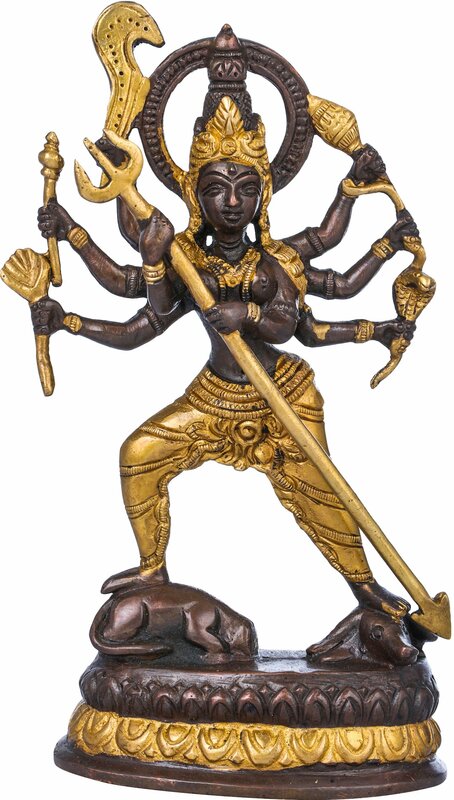 Each of the finish variations this sculpture comes in does great justice to Her beauteous roopa. 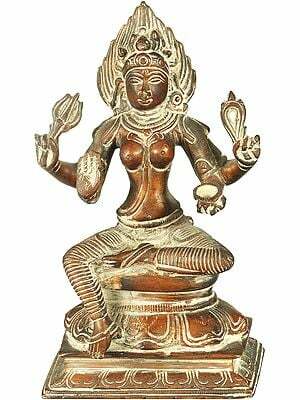 Her stature is overwhelming, Her musculature that of a yogini. 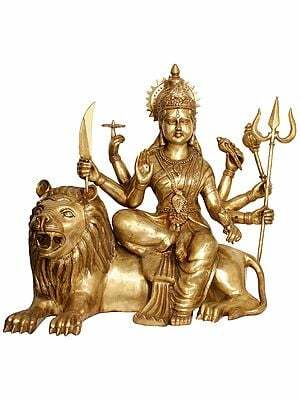 She is clad in a silken dhoti that clings to Her body below the navel, while the rest of Her is bedecked with shringar fit for a devi. 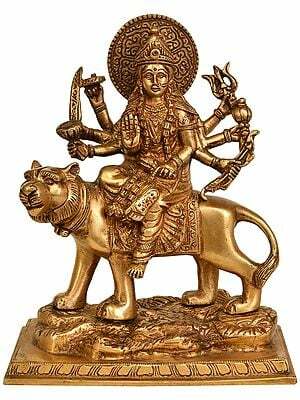 A crown as slender and towering as She is sits on Her brow, from the rim of which emerges a cascade of tresses all the way down Her shoulders. 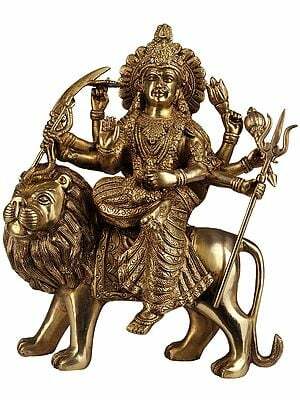 Her composure of countenance is compassionate and highly self-assured. 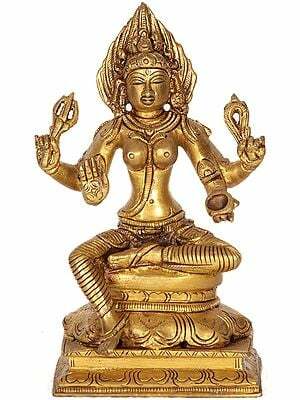 The rim of a halo frames Her crown, while layers of lotus petals constitute the pedestal She is standing on.